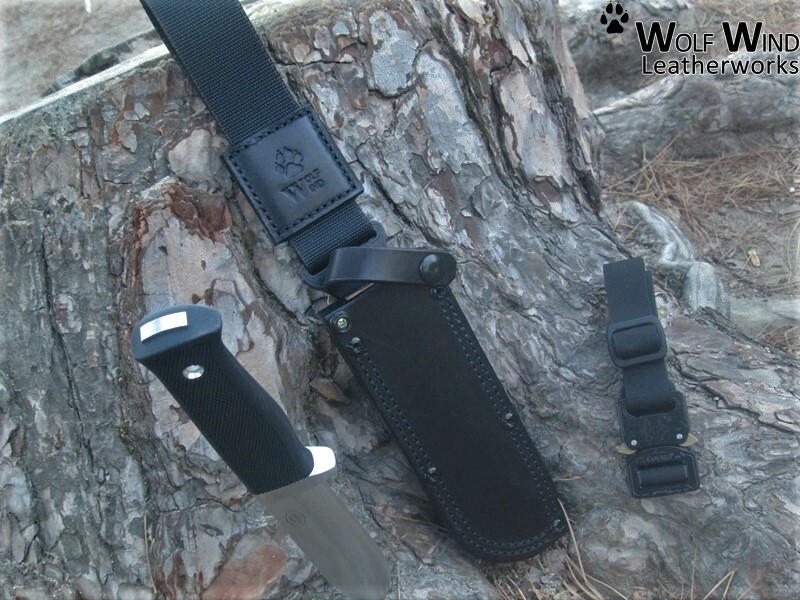 Beyond traditional leather sheath models, Wolf Wind took another step further to present the new Wolf IX Modern Frontiersman concept. 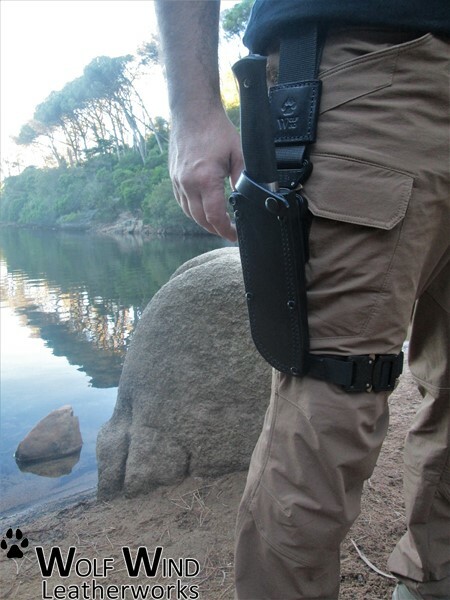 The design was based on the purpose of adjust securely the sheath to the leg and at the same time, to allow carry the sheath on a practical way through the Wolf Quick-Release Belt Loop. This system allows to attach or detach on an efficient and easy way (one-hand) the sheath from the belt and leg. A Wolf design made for the Pro. 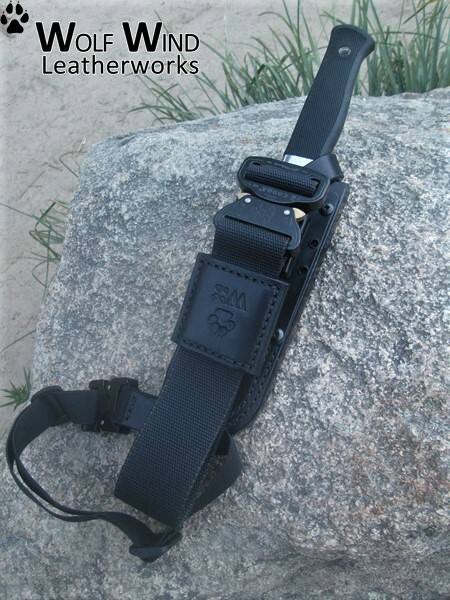 - Polyamid web leg strap with small AustriAlpin Cobra Adjustable buckle.